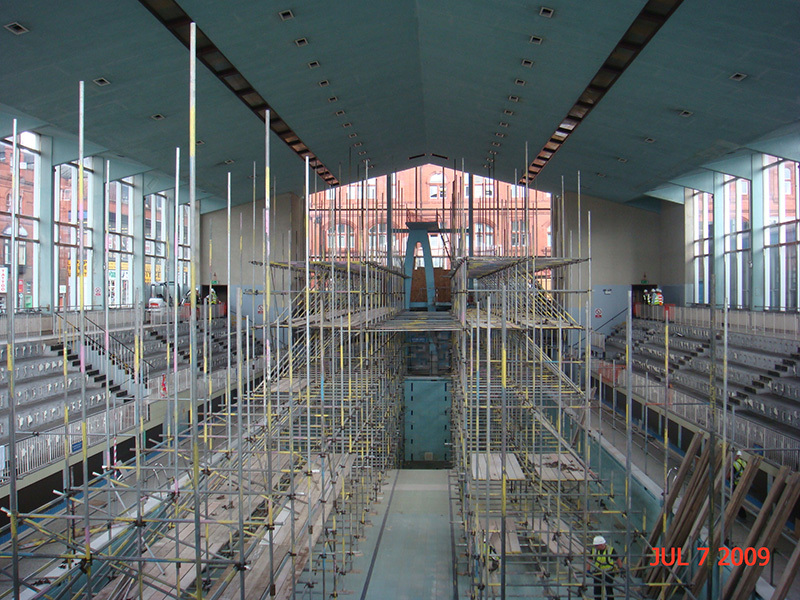 Scope: The asbestos removal, soft-strip, demolition and site clearance of the former Olympic Standard Swimming Pool Complex and adjacent Municipal Buildings. 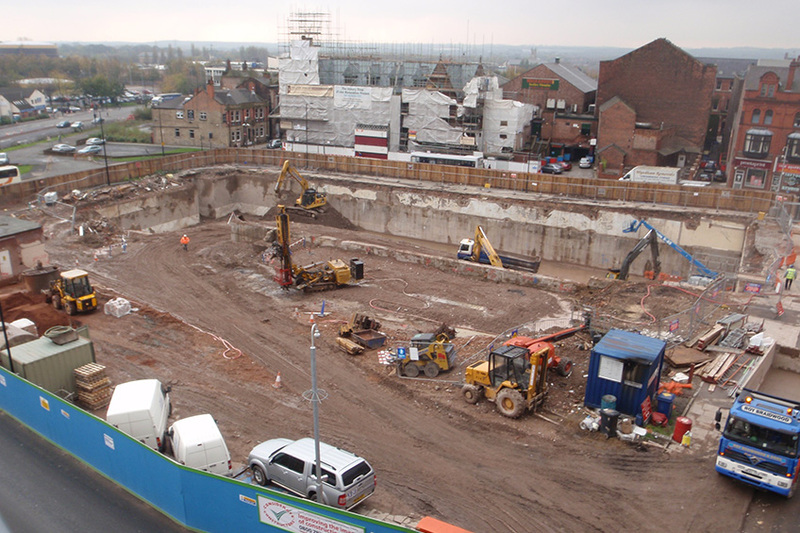 This project involved the demolition of the Olympic standard swimming pool complex comprising 3 separate pools and the demolition and façade retention of the adjacent listed Municipal buildings. 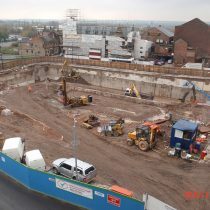 The whole project took place in the centre Wigan with offices, businesses and busy streets on all sides. 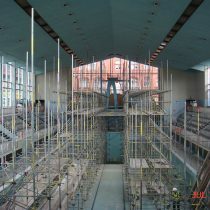 The whole of the interior of the swimming pool had to be scaffolded to allow the asbestos to be removed from the ceiling. 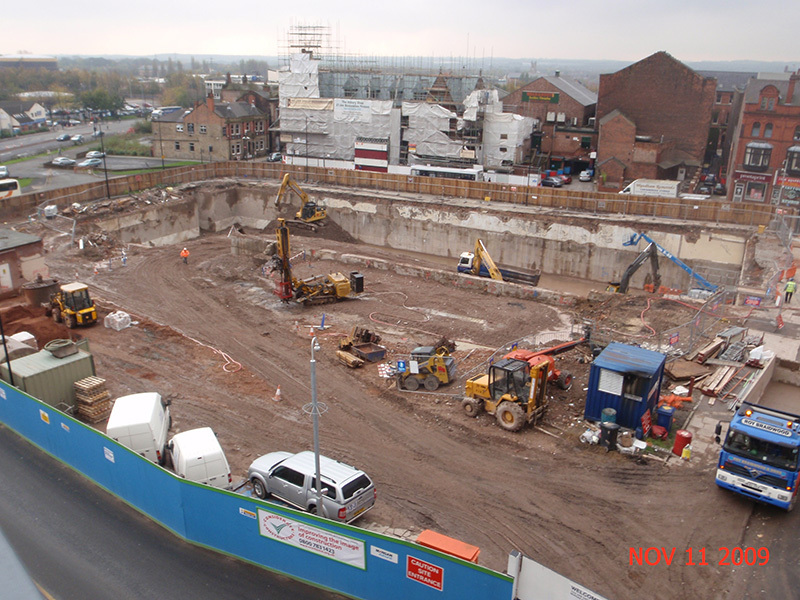 Once this had been removed the structure was demolished mechanically over a weekend with temporary road closures arranged with the local Highways department. 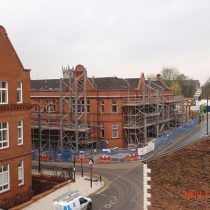 The requirement was to retain ‘L’-shaped listed façade of the municipal buildings whilst demolishing the old offices to the rear. The first task was to remove all asbestos containing materials from the building and to totally strip the offices of fixtures, fittings and non-load bearing walls. 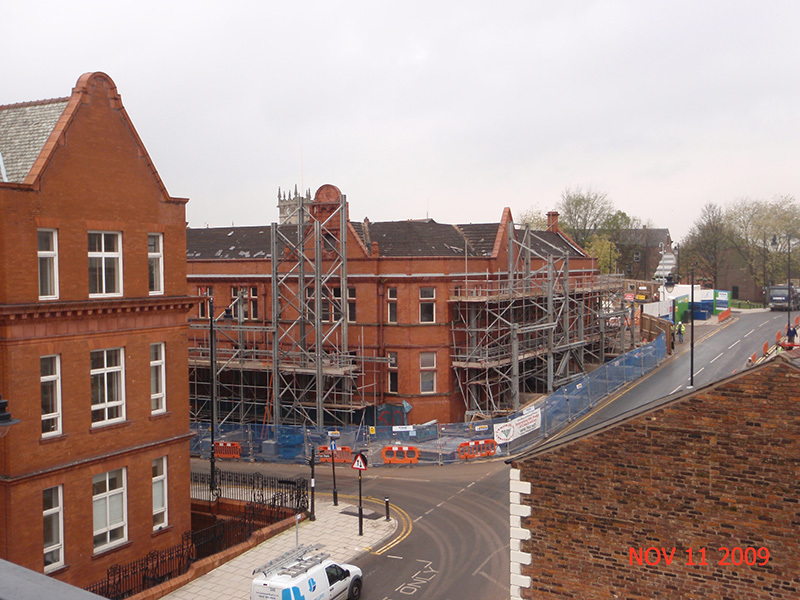 The next stage was to fully scaffold the building to enable the removal of the slates from the roof the hand demolition of several sensitive parts of the building. 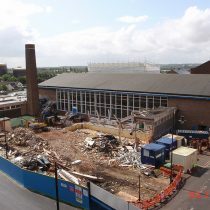 Non-sensitive sections of the building were demolished with mechanical excavators. At the same time, a large structural framework (“Mabey system”) was erected at the front of the building to support the façade during the demolition and subsequent construction of the new office shell. 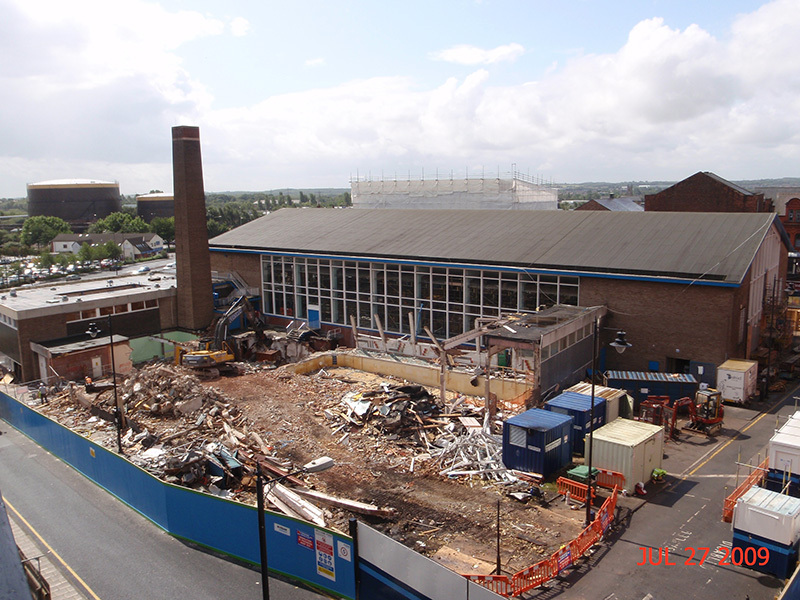 the demolition phase proceeded well and the structure was handed over to the client on time and to their satisfaction.